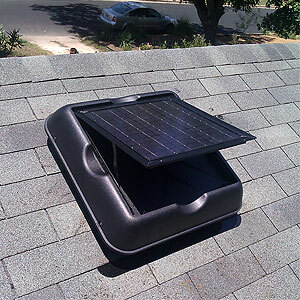 The purpose of a solar attic fan is to reduce temperatures inside the attic and other rooms resulting in a cooler, more comfortable home. Green Star Solutions, an authorized integrator and partner with Solar Royal, installs these efficient fans that operate at not cost. You will save on your A/C bill and energy use during the long, hot summers in Texas. And during the winter, a solar attic fan helps to prevent moist air from condensing on the under side of the roof, beams and rafters. This, in a sense, humidity control reduces the chance of mold forming and will hinder the deterioration of building materials in your home. Think of these fans as not only beneficial to your energy and comfort needs but as a health benefit to you and your family. I know I want to keep my family healthy.